P (866) 596-9997 click for phone number TF (866) 596-9997 click for tollfree W http://econnectemail.com click for website A 2834 La Mirada Dr.
eConnect Email is a powerful email platform allowing businesses to build, send and track email campaigns easily and affordably. Take a few minutes and learn how eConnect Email 3.0 can transform the way you do email marketing. eConnect Email is simply, email done better. eConnect offers fully managed accounts as well as do-it-yourself accounts. Our clients range from Fortune 500 companies to small local interest groups. 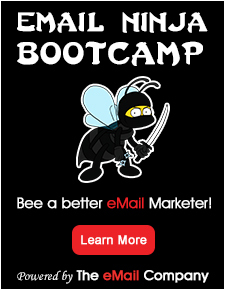 Our guarantee assures you the best email marketing solution, at the most affordable price. Email has become a critical part of any firm’s communications and marketing plan. eConnect Email can help retain customers, keep members informed, increase sales, fill seats, raise brand visibility and help you grow your business. As one of the industries most robust and powerful email marketing applications our system has every fancy tool you’ll want while keeping things simple with our intuitive interface. Our close relationship with our ISP’s will help ensure that your next campaign gets delivered and our on site designers can make sure they look beautiful, if you need help! Looking to offer an email marketing system to service your clients? eConnect Email offers a private label option to incorporate our state of the art email marketing application seamlessly with your brand.